Center Weston Richburg (concussion), offensive lineman Justin Pugh (back), defensive end Olivier Vernon (ankle), defensive end Kerry Wynn (knee), linebacker Jonathan Casillas (neck), and linebacker B.J. Goodson (ankle) will not play this Sunday against the Los Angeles Rams. Cornerback Donte Deayon (ankle) is “questionable” for the game. Running back Paul Perkins (ribs), wide receiver Sterling Shepard (ankle), defensive tackle Robert Thomas (calf), linebacker Calvin Munson (quad), and safety Nat Berhe (calf) are expected to play. There is no media availability to the New York Giants on Saturday. 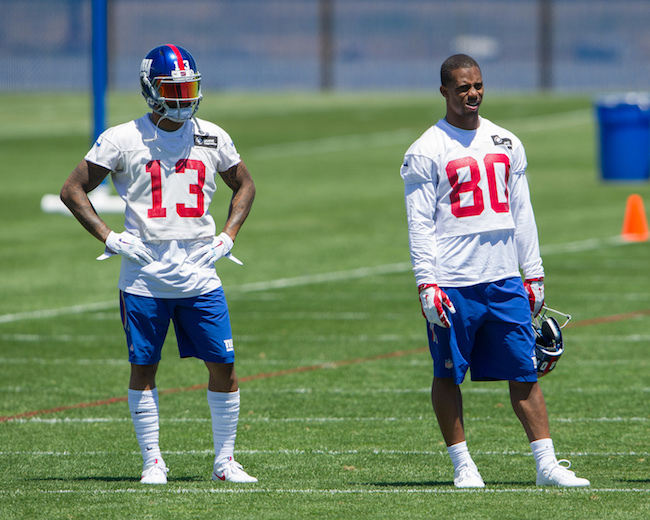 The Giants play the Los Angeles Rams at MetLife Stadium on Sunday afternoon. Running back Paul Perkins (ribs) and center Weston Richburg (concussion) have been ruled out of Sunday’s game against the Los Angeles Chargers. Offensive guard John Jerry (hamstring), defensive end Jason Pierre-Paul (shoulder/knee), defensive end Olivier Vernon (ankle), and defensive end Avery Moss (shoulder) are officially “questionable” for the game. “Just the back of (Jerry’s) hamstring tightened up on him a little bit yesterday at practice,” said Head Coach Ben McAdoo. “We will take a look at (Pierre-Paul) in practice tomorrow and see how it goes,” said McAdoo. Running back Orleans Darkwa (back), wide receiver Odell Beckham (finger/ankle), wide receiver Brandon Marshall (toe), and cornerback Janoris Jenkins (ankle) are unofficially “probable” for the game. There is no media availability to the New York Giants on Saturday. The Giants play the Los Angeles Chargers at MetLife Stadium on Sunday. Safety Darian Thompson (foot), safety Nat Berhe (concussion), and offensive tackle Marshall Newhouse (calf) have officially been ruled out of Sunday’s game against the Baltimore Ravens. 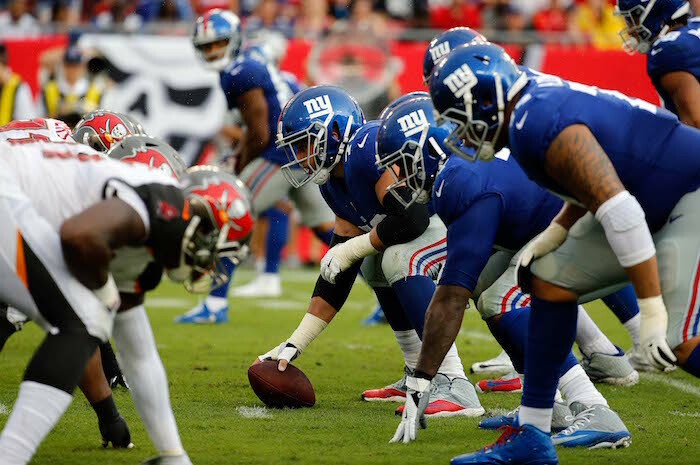 Defensive end Jason Pierre-Paul (groin), cornerback Dominique Rodgers-Cromartie (groin), cornerback Eli Apple (groin), linebacker Devon Kennard (concussion), running back Rashad Jennings (thumb), and wide receiver/returner Dwayne Harris (toe) are “questionable” for the game. Defensive end Olivier Vernon (wrist), tight end Larry Donnell (concussion), and tight end Jerell Adams (ear) are “probable” for the game. There is no press availability to the team on Saturday. 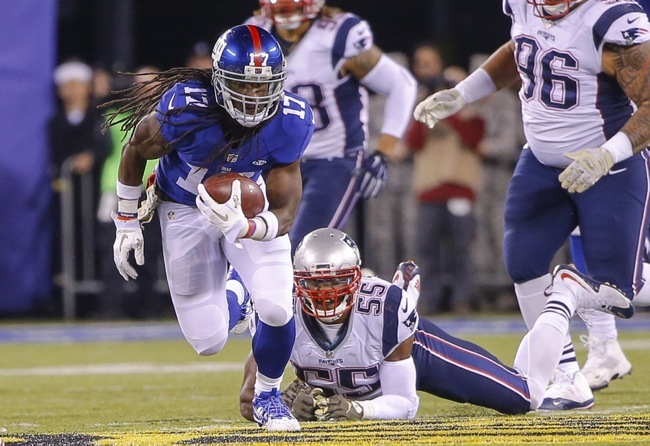 The Giants play the Baltimore Ravens at MetLife Stadium on Sunday at 1:00PM ET. There is no media availability to the team on Friday. 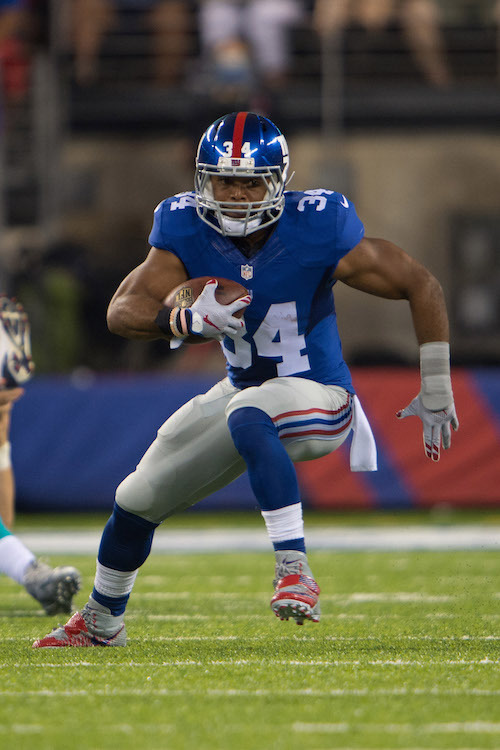 The Giants play the New York Jets on Saturday at MetLife Stadium. Now that the dust has settled and the New York Giants have officially announced the make-up of Ben McAdoo’s coaching staff, let’s take a closer look at its composition. Overall, not counting the head coach, there are 20 coaching positions. Eight of the 20 coaches are new to the organization. All three coordinators are holdovers from the Tom Coughlin era, with Mike Sullivan being promoted to offensive coordinator. There are three offensive coaches new to the organization: Quarterbacks Coach Frank Cignetti, Jr., Wide Receivers Coach Adam Henry, and Offensive Line Coach Mike Solari. The holdovers are Offensive Coordinator Mike Sullivan (brought to the Giants by Tom Coughlin in 2004 and again in 2015), Running Backs Coach Craig Johnson (came aboard with McAdoo in 2014), Tight Ends Coach Kevin M. Gilbride (hired in 2010 and son of former offensive coordinator Kevin Gilbride), Assistant Offensive Line Coach Lunda Wells (hired in 2012), and Offensive Assistant Ryan Roeder (hired in 2013). McAdoo pursued former Miami Dolphins Head Coach and Green Bay Packers Offensive Coordinator Joe Philbin as an assistant head coach, but Philbin accepted the same position with the Indianapolis Colts instead. Philbin was McAdoo’s boss in Green Bay for five years. He probably would have served as a crutch for McAdoo if had come to New York. It is interesting to note that five of the eight offensive coaches have experience as offensive coordinators with other teams, including Sullivan (Tampa Bay Buccaneers), Cignetti (St. Louis Rams, Rutgers University, University of Pittsburgh, University of California, University of North Carolina, Fresno State, Indiana University of Pennsylvania), Johnson (University of Maryland and Virginia Military Institute), Henry (McNeese State University), and Solari (Kansas City Chiefs and University of Pittsburgh). Offensive Coordinator Mike Sullivan: With McAdoo being promoted to head coach, the offensive coordinator position became vacant. To fill it, the 49-year old Sullivan was promoted to offensive coordinator. It remains to be seen how much influence Sullivan really will have. Other than 2015, Sullivan’s background is not based on the West Coast offensive system. And McAdoo has not yet publicly announced who will even call the plays. Sullivan was highly respected by Coughlin, but his two years in Tampa as offensive coordinator did not go well. With the Giants, Sullivan has coached wide receivers (2004-2009) and quarterbacks (2010-2011, 2015). Quarterbacks Coach Frank Cignetti, Jr.: The 50-year old Cignetti is a well-travelled coach with a ton of experience as an offensive coordinator and quarterbacks coach. 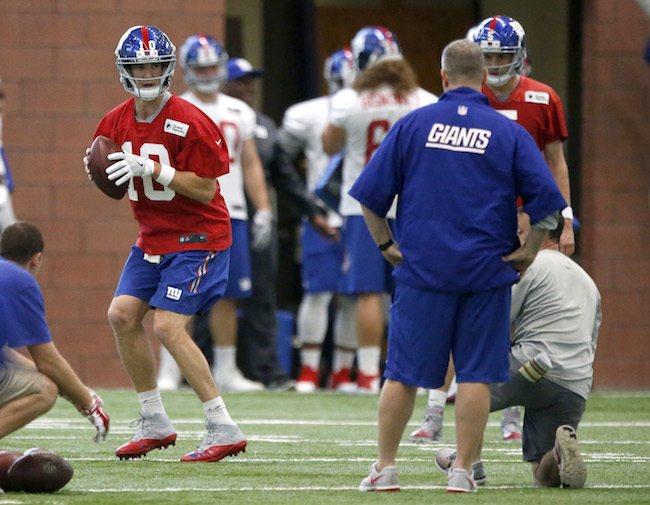 He has never really worked with a quarterback the quality of Eli Manning. He replaces Sullivan, who was promoted to offensive coordinator. Running Backs Coach Craig Johnson: The 55-year old Johnson arrived with McAdoo in 2014. Assuming McAdoo had some sort of influence in Johnson’s hiring, it is not surprising that that McAdoo retained him. Most of Johnson’s experience is actually coaching quarterbacks. He also served as assistant head coach of the Titans for one season. Wide Receivers Coach Adam Henry: Odell Beckham, Jr. is extremely tight with the 43-year old Henry, who coached OBJ at LSU. At the pro level, Henry coached the 49ers’ wide receivers in 2015 and the Raiders’ tight ends in 2009-2011. He replaces Sean Ryan, who the Giants decided not to retain. Tight Ends Coach Kevin M. Gilbride: The 36-year old Gilbride is now the longest-tenured Giants’ offensive coach, having arrived in 2010. 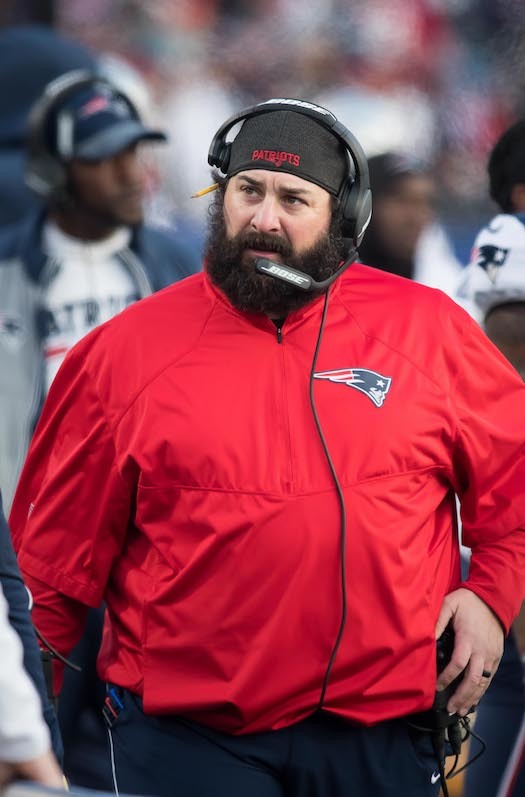 When Gilbride was hired, fans feared it was pure nepotism on the part of the team given the fact that his father was the offensive coordinator at the time. Gilbride’s work as wide receivers coach in 2012-2013 was nondescript and he was re-assigned as the tight ends coach in 2014. Under his tutelage, Larry Donnell and Will Tye developed from no-name, small-school rookie free agents to viable pro targets. Offensive Line Coach Mike Solari: The 61-year old Solari is the oldest coach on the team. He is considered one of the best offensive line coaches in the game, having coached very solid lines in Kansas City and San Francisco. Solari spent last season with Mike McCarthy in Green Bay, so he also now has a better understanding of the West Coast system. Solari replaces Pat Flaherty, whom the team chose not to retain. Assistant Offensive Line Coach Lunda Wells: Interestingly, rather than bring in two new offensive line coaches, the Giants decided to part ways with Pat Flaherty and retain the popular Lunda Wells. The 33-year old Wells joined the Giants in 2012 and became the assistant offensive line coach in 2013 when Matt Rhule left to become Temple University’s head coach. 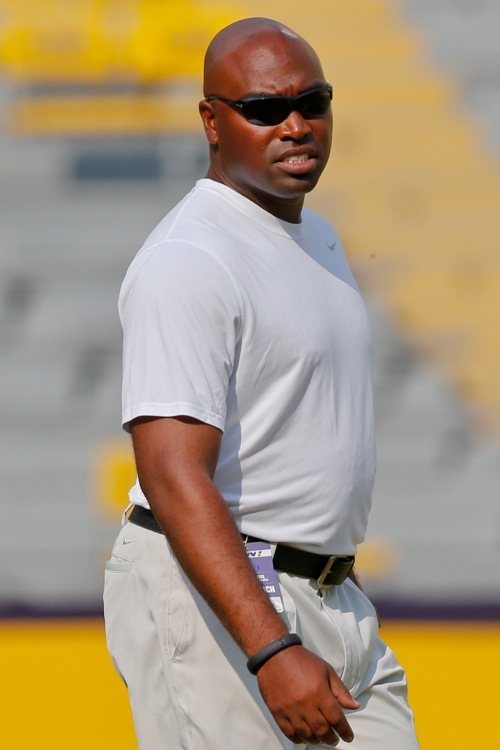 Before coming to the Giants, Wells did assistant coaching work at LSU. Offensive Assistant Ryan Roeder: The 36-year old Roeder came to the Giants in 2013 after serving as the tight ends coach at Princeton University for three seasons. There are three defensive coaches new to the organization: Defensive Line Coach Patrick Graham, Assistant Defensive Line Coach Jeff Zgonina, and Linebackers Coach Bill McGovern. The holdovers are Defensive Coordinator Steve Spagnuolo (brought to the Giants by Tom Coughlin in 2007 and again in 2015), Cornerbacks Coach Tim Walton (came aboard with Spagnuolo in 2015), Safeties Coach David Merritt (the only coach remaining who came to the Giants with Tom Coughlin in 2004), and Defensive Assistant Rob Leonard (hired in 2013). In a nutshell, at the position coach level, the Giants decided to part ways with their front seven defensive coaches and keep their secondary coaches. The big story here is the retention of Steve Spagnuolo despite the Giants not only finishing dead last in defense, but having the third-worst defense in NFL history. Alarmingly, Spagnuolo’s defense in New Orleans in 2012 was also the worst in NFL history. Since Spagnuolo is reportedly admired by ownership and was interviewed for the team’s head coaching position, one wonders if McAdoo had full autonomy to decide his fate. 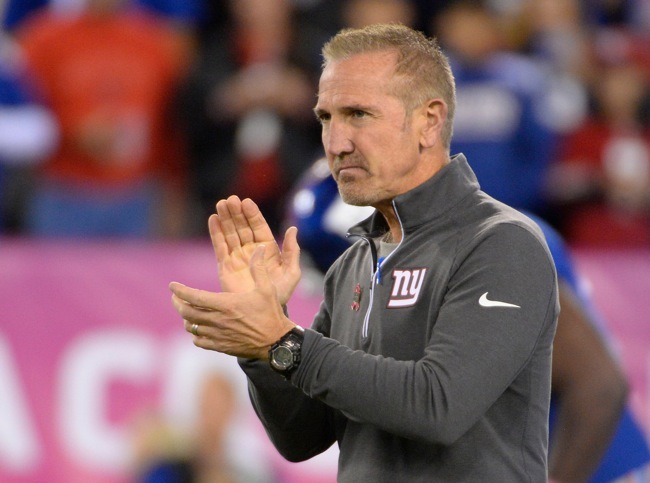 Defensive Coordinator Steve Spagnuolo: It’s been eight years since the 56-year old Spagnuolo coached a decent defense as defensive coordinator. Since then, two of his defenses have ended up being the worst in NFL history. Spagnuolo has to prove that he can oversee even a competent defense without an all-star defensive line. Spagnuolo has NFL experience as a linebackers and defensive backs position coach, mainly with the Philadelphia Eagles. He was also head coach of the St. Louis Rams (2009-2011) and assistant head coach of the Baltimore Ravens (2014). Defensive Line Coach Patrick Graham: The 37-year old Graham was highly respected and popular in New England. He has served as both defensive line coach (2012-2013) and linebackers coach (2011, 2014-2015) under Bill Belichick. Graham replaces Robert Nunn, whom the team chose not to retain. Assistant Defensive Line Coach Jeff Zgonina: The assistant defensive line coach position is a new position on the Giants. The 45-year old Zgonina has only one year of coaching experience, but he played an astounding 17 years in the NFL as a tough, blue-collar, overachieving defensive tackle for seven teams. Linebackers Coach Bill McGovern: The Giants passed on Mike Singletary to hire the 53-year old McGovern. McGovern coached linebackers at Boston College for 13 years before serving as the Philadelphia Eagles’ outside linebackers coach for three seasons. He replaces Jim Herrmann, whom the team chose not to retain. Cornerbacks Coach Tim Walton: The 44-year old Walton came aboard with Steve Spagnuolo in 2015 so it isn’t a surprise that he was retained. Walton has experience as a defensive coordinator with the University of Miami, University of Memphis, and St. Louis Rams. He was the defensive backs coach for the Detroit Lions for four years (2009-2012). Safeties Coach David Merritt: The 44-year old Merritt has been with the Giants now longer than any other coach, having arrived with Tom Coughlin in 2004. Since 2006, he has coached the team’s safeties and worked with Steve Spagnuolo on the Giants in 2007-2008 and 2015. 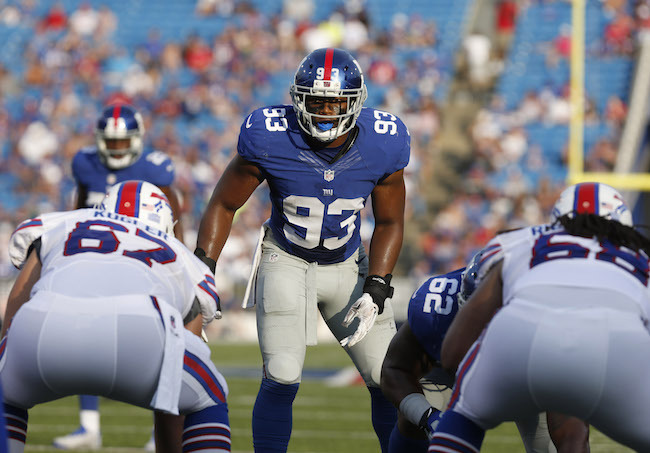 Defensive Assistant Rob Leonard: The 30-year old Leonard joined the Giants’ staff in 2013. Before that, he only did graduate assistant coaching work at North Carolina State University. No major change here given the fact that Tom Quinn will remain the team’s special teams coordinator, a position he took over in 2007. Larry Izzo, who had been the assistant special teams coach, departed as he received a promotion from the Houston Texans as their new special teams coordinator. Special Teams Coordinator Tom Quinn: The much-maligned, 48-year old Quinn had arguably his best season as special teams coordinator in 2015. That said, special teams play was a factor in four losses (Saints, Patriots, Jets, Panthers). 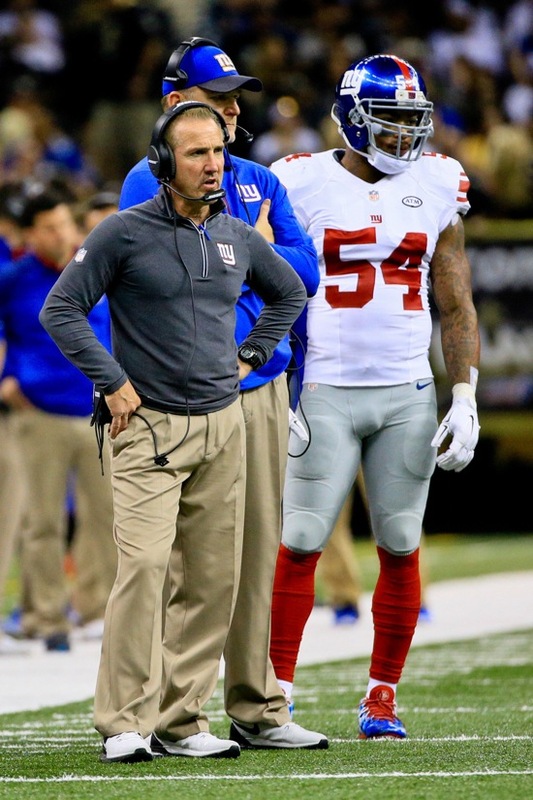 Like with Spagnuolo, one wonders if McAdoo had full autonomy to retain or dismiss Quinn. Assistant Special Teams Coach Dwayne Stukes: The Giants probably preferred to keep Izzo. But with his departure, a vacancy had to be filled. The 39-year old Stukes has special teams coaching experience with the Tampa Bay Buccaneers and Chicago Bears. The major change here was at the top. After six consecutive injury-plagued seasons in a row, the team replaced Jerry Palmieri with Aaron Wellman. Palmieri had been with the Giants since 2004. Strength and Conditioning Coach Aaron Wellman: The 41-year old Wellman has never coached at the pro level. But he is well-respected in the business and on top of the latest trends in sports training. He has worked at the university level at Indiana, Michigan State, Ball State, San Diego State, Michigan, and Notre Dame. Assistant Strength and Conditioning Coach Markus Paul: The 49-year old Paul has been with the Giants since 2007 after having spent time with the Saints (1998-1999), Patriots (2000-2004), and Jets (2005-2006). Performance Manager Joe Danos: The 35-year old Danos has been with the Giants since 2013. Before coming to the team, he spent time at the college level at LSU, SMU, and Florida State. Overall, McAdoo decided to part ways with five coaches: Sean Ryan (wide receivers), Pat Flaherty (offensive line), Robert Nunn (defensive line), Jim Herrmann (linebackers), and Jerry Palmieri (strength and conditioning). The vacancies filled by the three other new guys were created by Mike Sullivan’s promotion, Larry Izzo receiving a promotion from the Texans, and the new assistant defensive line coaching position. Replacing the wide receivers, offensive line, defensive line, and linebackers coaches is no small move. But all three coordinators are holdovers from Coughlin’s staff plus the running backs, tight ends, cornerbacks, and safeties coaches.